Happy Monday, everyone. Bitter-cold January is almost over. Does that mean there's only 11 more months until the end of the world? I don't believe so, but let's delve into an interview that has something to do with that Mayan legend. Let's welcome author Martha Bourke. Hi, Martha! Tell us a bit about yourself. Up until about a year ago, I was a teacher. I started Spanish programs for the elementary grades for fifteen years. The last one I started here in Massachusetts was a Spanish Immersion program for English-speaking students. They learned all day in Spanish and learned about Spanish culture. It’s still running. I’m very proud of it. There are only 260 other programs like it in the U.S. The oldest kids are in high school now. (Man, do I feel old!) Last year I decided to take a sabbatical to focus on writing. My husband and I live in rural Massachusetts. It’s quiet and lovely. Just perfect for writing. But, fifty minutes from three major cities, in case you need that jolt, you know? I started with poetry in third grade. That went on for a few years and by high school I was also writing short stories. I also wrote an earlier novel, before JAGUAR SUN. It was about five years ago. It’s a middle grade fantasy that will probably never see the light of day. It was a great learning experience though. Tell us about JAGUAR SUN. What’s the story about? 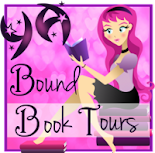 JAGUAR SUN is a YA Paranormal Romance. It is the story of Maya Delaney, a typical sixteen-year-old high school junior of Mayan descent. As Maya discovers more about her heritage, she realizes that she is at the very center of worldwide plot over the transition to take place when the Mayan Calendar ends on December 21, 2012. And on top of that, she and her friends are beginning to develop strange powers. Faced with learning to harness her new abilities in time to bring the world to a positive transition, Maya must reevaluate her relationships, herself, her place in the world. Very interesting! How did the idea of the story come to you? Usually my stories come to me from a combination of personal interest and research. All my life I’ve been intrigued by other cultures and mythology. That kind of had a head-on collision with my knowledge as a Spanish teacher and JAGUAR SUN was born. I definitely revise and self-edit, as any good writer should. I also have a critique group, but they are mostly looking into the story itself. The main thing is that I work incredibly well with my editor. Our styles complement each other so well. (All writers out there who are reading this: Hire an editor!) I mean that very sincerely. A good editor will tighten up you work, find inconsistencies, correct grammar and let you know when to cut things out. That last part is very important. As writers we are very close to our work. We think it’s all important. But a good editor will do all of the above without changing plot or characterization. I’m actually a little of both. I have the general idea of the book down and I make tons of notes on post-its and stick them on my wall in my writing studio. But I don’t sit down and outline per se. I write a lot on inspiration and on what the characters are telling me. Important scenes often come to me, kind of like from a movie. And then I fill in the blanks around them. Writing to me is an adventure and I wouldn’t want to take away from that. Honestly, I thoroughly enjoy the process itself. My grammar’s terrible and sometimes I can get frustrated with it. Also, when you write on inspiration, you can get a little nuts when you’re waiting for more of the story to come to you. But I think the hardest part for me comes after the book is ready, which is marketing it. Ugh! I always need a bottle of water and quite possibly a lollipop for that oral fixation factor. Maybe some tea. My pets also keep me company. This is probably going to seem lame, but I guess I would choose the power to heal. Doesn't sound lame at all! What's the weirdest thing you've googled? Oh, man. I don’t know. I’ve googled so many crazy things. And I google so often, especially for research. When you write Paranormal, you tend to look up some pretty bizarre stuff, like shape-shifting mythology. Quick writing test! Use the following words in a sentence: armadillo, hindsight, and conversation. In hindsight, I never would have started a conversation with the armadillo in the first place. Okay, first to my husband and family for all of their love and support, and for believing in my writing. I’d also like to thank my two fabulous Barbaras – Barbara Ardinger, my editor. Also, Barbara Rainess at Pedernales Publishing along with her partner, Jose Ramirez. I know this book would never have been published if it weren’t for all of them. 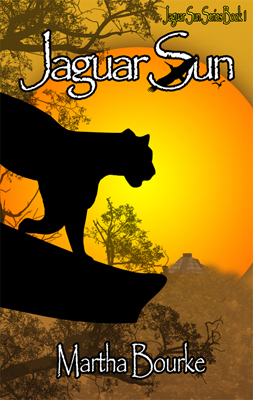 JAGUAR SUN (Jaguar Sun Series Book 1) is available at Amazon and Barnes and Noble.com in Kindle, Nook and Paperback formats. Look for Book 2, JAGUAR MOON this fall! Martha, thank you so much for chatting with us. It was great getting to know you and learn about your book. I wish you lots of success, and be sure to let us know when book two is released! 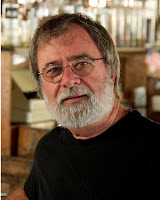 Today we're chatting with author R B Wood. Richard is a technology consultant and a writer of urban fantasy, science fiction and quite frankly anything else that strikes his fancy. His first novel, The Prodigal's Foole, the first installment of The Arcana Chronicles, is available now from Pfoxchase Publishing. Welcome to We Do Write, Richard. Tell us a bit about yourself. My 'day life' is extrodinarily mechanical and detail-oriented. For my entire life, I've loved (and needed) creative outlets. I was an artist when I was younger, earned my bachelors degree in mathematics by playing in bands and by being good enough for music scholarships. But mostly, I love to tell stories, and writing lets me do that. Been doing it off and on since the eighties. The final push to really produce a novel began in 2007. My kids told me I 'Should write my stories down,' and my partner was fully behind it. Never underestimate the support from those closest to you! Tell us about The Arcana Chronicles. What¹s the story about? I often thought, if magic existed, would the general public be completely clueless as the muggles are in Harry Potter? Or would magic be an asset—a power to be controlled? And who would control that power? Quite frankly, the idea came about because all the 'magic stories' out there had a similar throw-away comment—something to the effect of 'Normal people can't know about magic' or 'Normal people aren't observant enough to see magic.' The whole premise of the series (along with it being a good old-fashioned 'good vs. evil') is what would happen if normal folk started paying attention? All that power, who would control it (Religions, in my book) initially? What would the impact of the last 50 years of technology do to a magical world? This will be explored throughout the series. Oh I have crit partners, who are my 'alpha' readers. I use a fantastic editor and have a group of 'Betas' as well. I'm not confident enough in my writing yet to go it all alone, and I LOVE the feedback I get. What's the hardest part of writing for you? Letting the book sit for a while between the first draft and the second. Absolutely necessary, but I hate the time it takes. Me too. Let's get to know you on a deeper level. What do you absolutely have to have nearby when writing? My partner Tina, my music and my MacBook. Super-memory. That would be very helpful! What's the weirdest thing you've ever googled? Heh. "Demonic possession Orchids and Koi." Don't ask. Quick writing test! Use the following words in a sentence: hedgehog, uncloak, and overattentive. Oh dear. There are SO many. Leah Petersen, Bill Kirton, Steve Umstead (in fact the ENTIRE #pubwrite crew), my publisher, Diane Nelson, my editor Charlie Wood, good lord. I should make a list some day. My family, friends and my partner Tina. 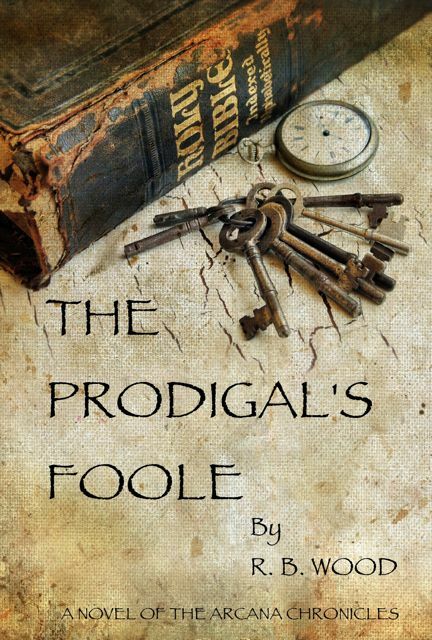 And of course The Prodigal's Foole can be found on Amazon, B&N, iBookstore, Smashwords and Omnilit All these links can be found on the 'my novels' page. Richard, thanks so much for chatting with us. I wish you lots of success with your books! 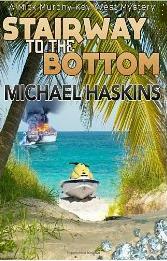 Today we're chatting with multi-book author Michael Haskins. Welcome to We Do Write, Michael. Tell us a bit about yourself. 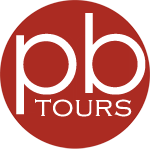 I was born and raised outside of Boston - North Quincy, Massachusetts - and in high school began working at the Record/American-Sunday Advertiser newspaper in Boston. 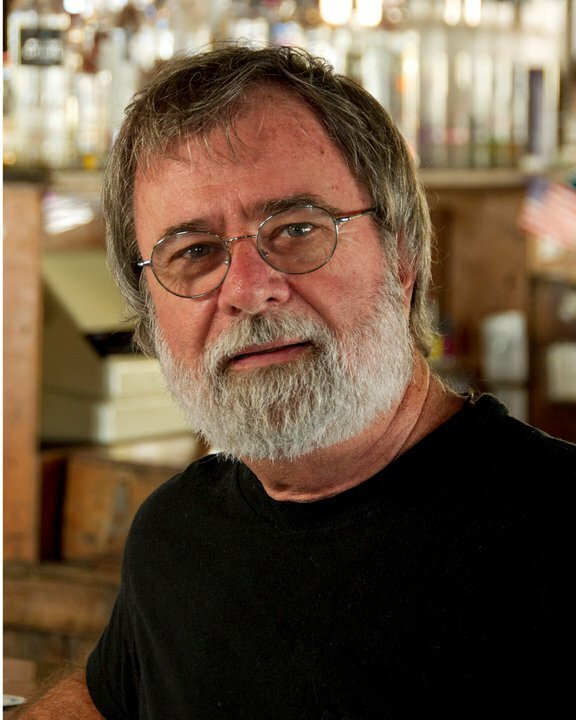 From that point on, I have pretty much kept journalism as a trade, sometimes as a freelancer and in Key West, where I moved more than 15 years ago, as the business editor/writer of the local daily paper. I think in some form I have written since I got bit by the Ernest Hemingway bug. I spent many years as a very good (oxymoron) drunk and not so good of a writer. Since moving to Key West I have switched those positions and writing has been my priority. Tell us about STAIRWAY TO THE BOTTOM. What’s the story about? A little more than a year ago, a local character that worked at a Jet Ski business showed up, told the crew "agents are after me, I gotta run," and took off with a Jet Ski, never to be seen again. I thought about it and wondered, "what if" and came up with two theories and decided to put them both in the book. So, my character walks away from witness protection after more than ten years. He was a hit man for Boston gangster Whitey Bulger and since Whitey's capture, my character goes after Whitey's hidden fortune, chased by US Marshals and FBI agents. On the other hand, retired Cold War spies from Europe hear the story and to them two and two doesn't have to equal four and they decided the age, description, etc. of the man fits the double agent that took off with more than $20 million in diamonds. Since Murphy, my protagonist, discovered the body of a Cold War female hit man, everyone wants to question him. To Murphy it's a comedy of errors and bad judgment, to the various parties it a race to riches. The story has the background feel of the Maltese Falcon in that those chasing the money and/or diamonds have no real evidence that it exists, only rumors, but they give chase, out of greed, anyway. The book moves from Murphy's laughing at the foolishness to a blackness that changes Murphy's life forever. I have seven books. One, the third in the Mick Murphy series (not the KW part of the series) is being rewritten and I have to find an ending to it. Book six of the series, is at the publishers (and has been for more than a year) is called Car Wash Blues and will be out in August 2012. Book seven is Stairway to the Bottom. For Stairway to the Bottom I had a critique group go through the story and also had a professional editor see it after that. I plan but mostly beginning, middle and end and let the story work its way through to the end. Never, and I mean never, has the story gone exactly as I thought it would at the beginning. That's the fun of writing, discovering your characters and doing what they tell you. Facing the blank screen. The beginning because it's so important but also each new chapter begins with a blank page. Music, my American Heritage Dictionary and shelves and shelves of books - some of them for research, others to remind me that I am trying to compete with the best. I am happy to compete, even though I may never win the race. The ability to have mind control over the book editors at the NY Times. Why not have mind control over everyone? I've got a teen and a pre-teen at home; I could use that power. What's the weirdest thing you've ever googled? As a mystery writer almost every Google is weird. Tracking down obscure weapons and discovering only I think they're obscure because there's a lot of info out there on 20mm rifles and rounds. Quick writing test! Use the following words in a sentence: industrial-strength, admirer, and optician. The local optician had many admirers since his discovery of an affordable, industrial-strength lens for glasses that helped the near blind see. My biggest supporter has to be my sister Patty, who has had a life-long belief in my abilities, even when I had doubts. Her encouragement and life example has been/is very important to me. My twin daughters, Seanan & Chela, have always been a force driving me to succeed. Life wouldn't be the same without them. My website: www.michaelhaskins.net and when I need an excuse not to work on my novel or am too tired to read, I sometimes blog: www.chasinthewind.blogspot.com. Thanks so much for taking the time to chat with us, Michael. Good luck with your books! Happy Monday, everyone. Hope you had a nice weekend. 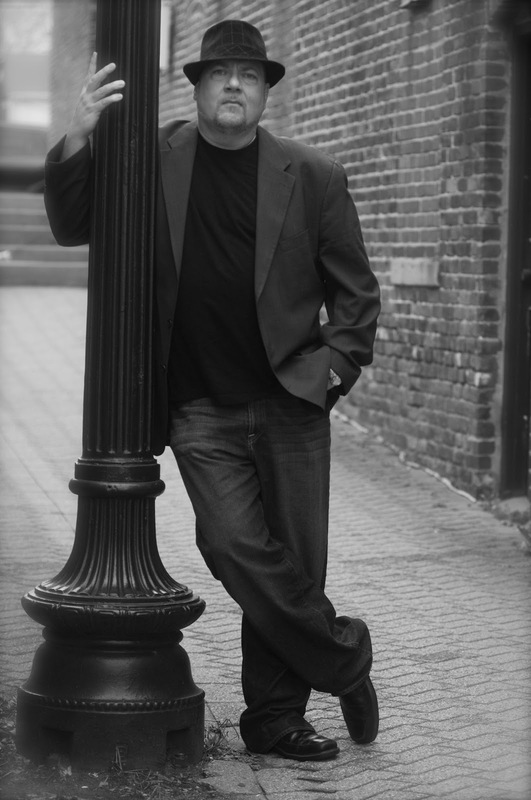 Today we welcome writer Brian Anderson to the blog. Welcome, Brian. Tell us a bit about yourself. I live in Staten Island, NY with my wife Eleni and son Jonathan, though I'm originally from Spanish Fort, Alabama. I've been writing since I was a young teenager. Short stories mostly, but I did attempt a novel here and there. Unfortunately, back then, I didn't have the patience to see them through. Basically it stayed a fun hobby for many years, until recently. I had never really considered attempting to publish anything, even though my family and friends were constantly at me to do so. In fact, if it wasn't for my son, I would probably still be writing weird little stories or working on some English Literature or poetry analysis project, for a class that someone in my family didn't really want to take. I must say, I'm happy that's not the case. 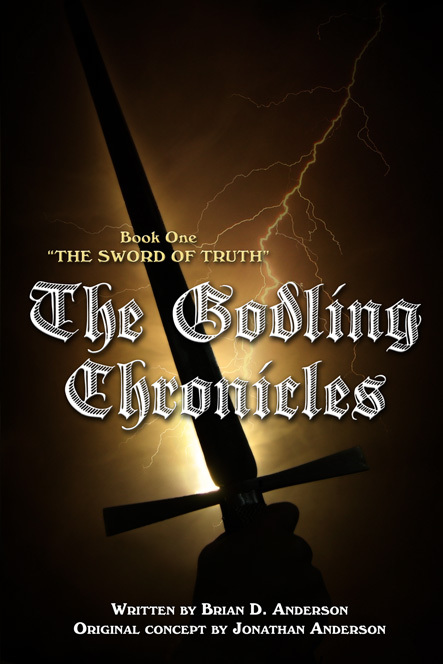 Tell us about The Godling Chronicles. What’s the story about? The first installment of The Godling Chronicles is about a seventeen year old “boy” named Gewey Stedding. He has been raised from infancy by a human farmer in a small rural village, though Gewey has no clue he is anything other than his fathers natural son. The story picks up two years after his fathers death, (his mother having died when he was a toddler). In short order he discovers that he is not, in fact, his fathers son, but the only being ever born from the union of two Gods. This revelation is presented to him by Lee Starfinder, a demigod (though I chose not to employ that overused term in the book). Lee explains that a being referred to as the Dark Knight (only one of his many names) has stolen a weapon called the Sword of Truth. With it he has locked the door to heaven, trapping the Gods. Gewey must then flee with Lee, as certain events have cause the Dark Knight to become aware of Gewey's presence. Lee is charged with the boys training so that he can face the regain the Sword and save the world. Along the way they rescue an elf woman from the clutches of fierce bandits and she joins them on their quest. But she will not be the last. The reader will meet a diverse cast of characters (both good and evil) that I found myself caring deeply about, as the story developed. Without giving up to much of the plot that's the basic storyline. Actually, the original concept and basic premise came from the mind of my eight year old son Jonathan (a fact reflected on the cover). He has always had a wonderful mind for stories but when he came to me with this one, I knew it must be written. The prologue is almost exactly as he described it to me (though the language is mine) as is Gewey and Lee Starfinder. Even now I still consult him as the world Gewey lives in expands, and he never fails to inspire me. Don't misunderstand, this is not a book written for third graders. It's classification as young adult/fantasy is due to the fact that there is no overt sexuality or foul language. All of the above. My wife and several of my friends have been a great help to me. I have also had the fortune of being associated with a few literary professionals who have helped as well. But let's face it...a book becomes a book when it's copy edited. Sean Brandt and Jessica Sigafoos worked tirelessly on this project. Without them it would have never left my desk. A bit of both. I try to plan out a story, but with The Godling Chronicles, things seem to fly off in different and unintended directions. I think it keeps the story fresh. However it does make keeping track of things a chore. Book two has been a bit more formulated, but I still find it taking on a life of its own. Perhaps by the end of the series I'll know exactly where it's going. For me it's reigning back the unnecessary descriptions and dialogue so that the story flows. I prefer a good read to an academic exercise. Take Tolkien for example. I LOVE, LOVE, LOVE Tolkien, but there are times I could do without some of his more elaborate descriptions. Understand that I am in no way comparing myself to a man whom I consider one of the greatest literary minds in history, and even if I tried I couldn't paint a picture with words in such detail, but I do get a bit long-winded if I don't monitor myself. More isn't always better...sometimes it's just more. I want the reader to enjoy the story without laboring through it. Coffee and smokes. Yes, yes, I know...how 1960's of me. Other than that, I only need the time. Lately, I have been working harder on promoting book one than writing book two. Still, I try to write at least a few pages a day and I'm hoping to send it to editing within the next few months. The ability to spell without spellcheck. LOL. What's the weirdest thing you've ever googled? I can't really answer and have anyone who knows me read this blog. Kidding. I guess I would have to say the first time I googled my own book. It was so strange to see it popping up everywhere. I was both astonished and excited. Quick writing test! Use the following words in a sentence: bespattered, taxonomist, and re-embodied. Here's one that I'll fail.....I want my editor!!!! Oh what the hell, I'll give it a try. The mud bespattered troll climbed to the top of the hill to see speak to the taxonomist about his findings on re-embodied billy-goats. Amazon.com, Barnesandnoble.com, booksamillion.com, are the main sites, as well as over a dozen foreign websites in countries across the globe. Sounds great! Thanks so much for chatting with us, Brian. I wish you lots of success with your books! 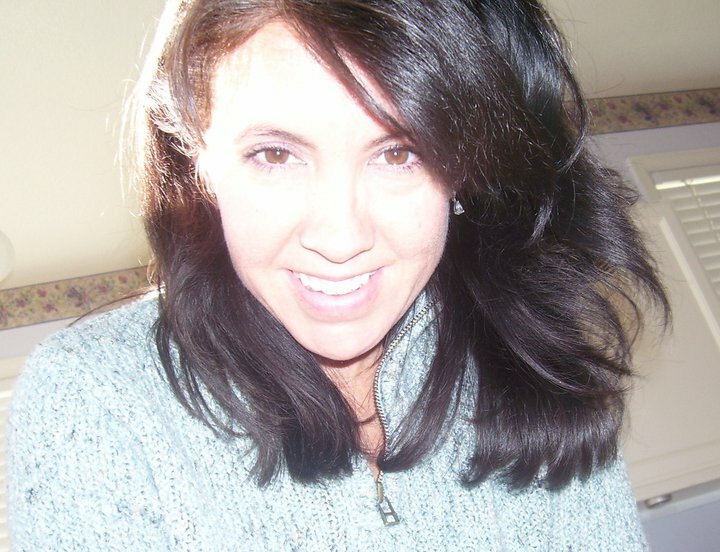 One of my favorite subjects to post about is an update on a previously interviewed author. Today we welcome back Laura Schultz, who has taken a few more steps forward on her publishing journey. Welcome back, Laura. Tell us about your new book and what the journey was like to get this (your first) book published? Dorothy, I can’t believe it’s been over a year since we first spoke in this venue. During this time, I have always read your interviews because they are always fascinating and I learn something each time I read one from another author. When we last spoke I had just signed with a publisher in New York for my first book “Arise and Shine: Laments from the Darkness, Songs of the Light.” It is a debut collection of verse that reflects a transformational journey of love, loss, personal struggles to triumph. It is reflective of my philosophy about life and writing from the soul to help others. Unfortunately that original publisher did not follow through on the contract and I was completely devastated. I could definitely relate to the disappointments other author friends had endured before me. Many folks discouraged me by saying it was extremely difficult to find a publisher willing to look at a poetry collection. So, for awhile I languished within my heart about how or if to proceed and went on to write other things. Then miraculously, a woman whose talent I had admired from afar perused my work and after some discussion, I signed with her publisher Silver Bow Publishing in Canada. I will always be grateful to Candice James, Poet Laureate for supporting and recognizing my work and taking the time to launch my book both in paperback and in e-book format. What makes the collection so unique is that there are color photographs and professional artwork throughout the book. The paintings were done by my mother who was an accomplished painter/sculptor. The book is a tribute to her but unfortunately she passed away a few months prior to publication but I know she would have been very proud to have her work juxtaposed with mine. Arise and Shine, Laments from the Darkness, Songs of the Light can be ordered from the publisher, Amazon or lulu.com for the e-book. Here are the links. I understand you had your first book signing. What was that like? I recently was a contributor to the new release “The Casey Anthony Murder Trial” by Claudette Walker. Claudette wrote a fantastic real-time book about the controversial trial and she asked me to write the postscript which was a psychological profile about the suspect. Since I am also a psychotherapist with a passion for all things forensic or true crime, this was a big thrill for me. I’ve written many book reviews for the New York Journal of Books in this genre and just adore doing so. I was recently the only U.S. Poet to be asked to contribute to an international anthology of poetry called “Sudden Thunder”. Poetry has always been a passion but I’ve written in so many genres that I wasn’t quite sure what was going to be next. Laura, it's always a pleasure talking with you. Good luck with all your writing, and be sure to let us know when you have more news to share. Thanks so much, Dorothy, for allowing me the honor of speaking with you again and I really appreciate all the work you do bringing talented writers to the fore. I hope everyone's had a nice weekend. 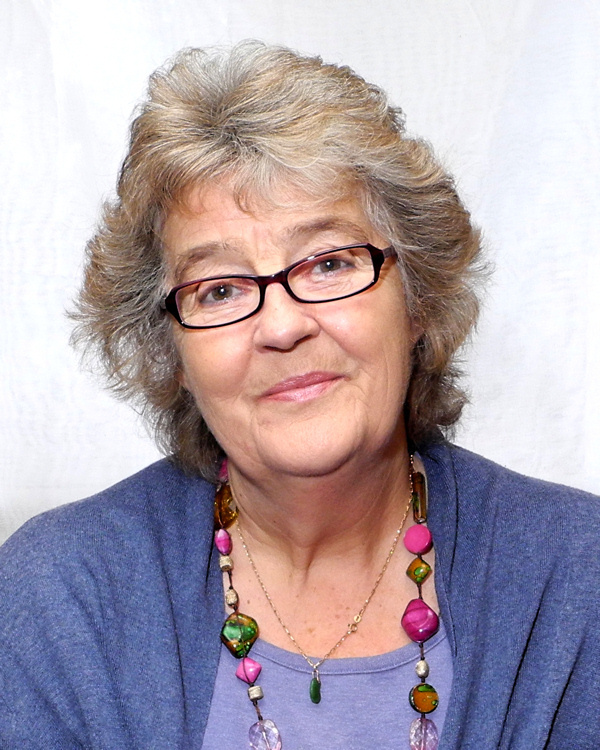 Let's give Monday a softer touch by getting to know writer Margaret Callow. Hellow, Margaret. Tell us a bit about yourself. Living near Norwich in the UK. Married with grown up children and a host of grandchildren! 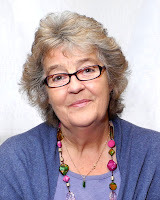 I came to writing novels late after a working life as a nurse, but I have written poetry since I was very young, much of which has been published, so I suppose the answer to the question is about three years. Tell us about A REBELLIOUS OAK. What’s the story about? It's historical written as a novel. It's a true story about a rebellion in Norfolk in 1549 known as Kett's Rebellion so I have taken a factual skeleton and hung fictional flesh on it. What a great description! How did the idea of the story come to you? Partly because my love for social history and also because when I was researching the maternal side of my family, I found my great, great grandmother was a inmate pauper in a workhouse in 1900 when she was seventy. It inspired me that there must be so many stories waiting to be told, not about famous Kings and Queens or the wealthy, but about ordinary people who lived in the past. I have written a novel which is set in Victorian times about those who live just under the surface of respectable society and am now writing about East Anglia which played a part in the Peasants Revolt in 1381 which is a WIP. I am part of a forum group on Authonomy which is a critique group for Historical Fiction and I'm editing A Rebellious Oak at the moment with the publisher. I do a lot of research so I suppose I'm a bit of both, but the actual story just unfolds as I go along. A view of my garden and a cup of coffee. Sounds perfect! If you could have any super power, what would it be? The ability to go back in time and see past centuries for myself. A look at my childhood home forty odd years ago, thanks to Google Earth! Quick writing test! Use the following words in a sentence: slyness, familiarized, and horse. As he spurred the horse on, he familiarized himself with places he passed missing no details, not difficult with his natural slyness. First it's got to be you, Dorothy on FB who has given me the chance to write this, the good people on Authonomy and there are many who've always given me honest but kindly help, new friends I've made in the 'virtual' world in Barbados, USA, S. Africa and Taiwan who have been awesome and so unselfish with their encouragement and Running Hare Press who have enough faith in me to want to publish my book. Aw, thanks for the shout out. And finally, where can people find you and your books online? I have a website that was started for me, but is defunct at present and Spirit of the Butterfly and Of Wheat and War are still up on Authonomy at the moment. Running Hare Press are on FB and have a website. As for a Rebellious Oak, the launch will be mid' March in Wymondham just outside Norwich. All bookstores will be sent details from Neilsens Book data and hopefully Jarrolds, Waterstones and Ceres Bookstore in Swaffham will stock it. I guess it will be on Amazon too. Running Hare Press will have the book available in their online shop. Sounds fabulous. Thank you so much for chatting with us, Margaret. Your book sounds great, and I wish you lots of success. I love it when authors I've been in contact with have big, happy news to share. Back in 2010, I interviewed writer Kristi Helvig. She's a Sisters in Scribe sister and an absolute sweetheart. Well, I'm pleased to announce that Kristi has landed an agent -- in her words, an awesome agent perfect for her. Dying to know more? 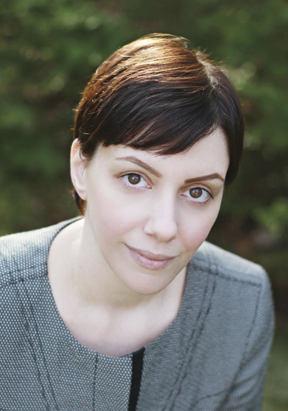 Read Kristi's post on how she got her agent. I'm sure you'll find it encouraging and uplifting. I know I did. Happy New Year, everyone! Let's make 2012 the year we all reach our goals!